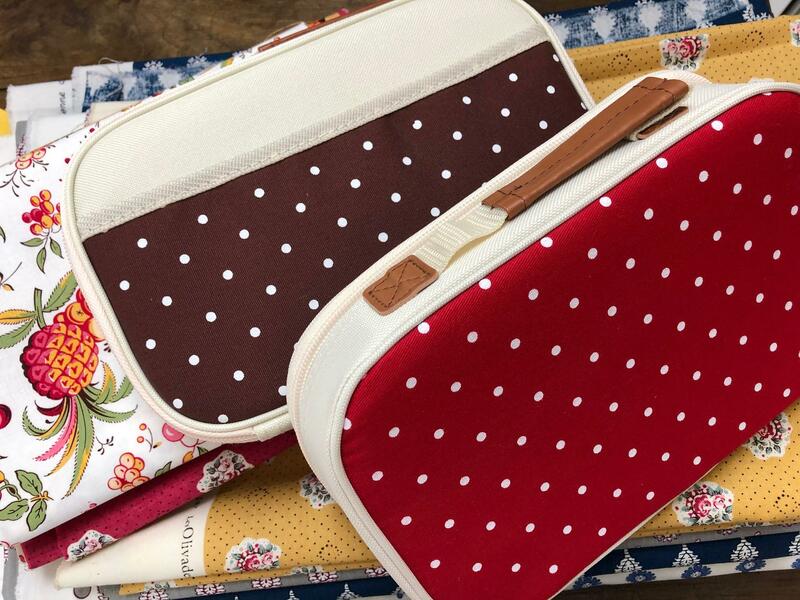 The Craft Case is available in red and white spot or tan and white spot, and can easily be customised by you. Practical with a two way zip and carry handle, it's popular with embroiderers and patchworkers alike. Perfect to keep all your needlework tools safe and at hand. Padded exterior shell that doesn't go out of shape with internal compartments to keep you organised. Use as is or decorate it in your own way. A great gift idea for a stitching friend. The front and back panels can be covered in a fabric or linen of your choice. Decorate with embroidery, patchwork hexagons or applique. Ideal for a smaller Crewel Work design, Bargello, or perhaps a monogram or motif from a reproduction sampler. A curved needle is ideal for covering the panels.